This is a lovely, versatile garment for girls or boys, made from supersoft 100% baby alpaca. It is so easy to wear and will provide a lot of warmth, yet feels very lightweight. 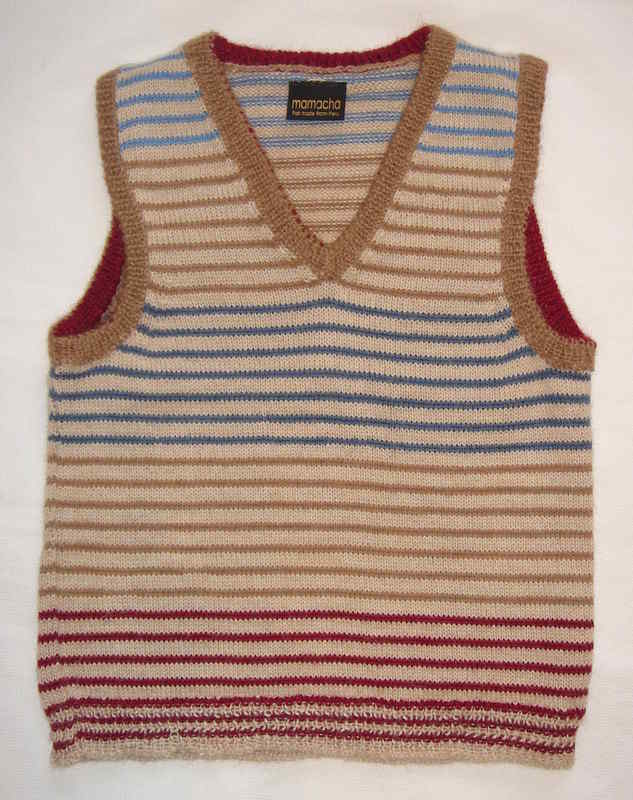 Tank tops tend to fit for longer as there are no sleeves to worry about, so the sizing is quite flexible - you'll find your child will get a lot of wear from this! We find we use it a lot on our baby under a jumper (and over a vest or t-shirt) in winter, for an extra layer of warmth. Machine washable at 30 degrees on the wool cycle, or hand wash. Do not tumble dry.